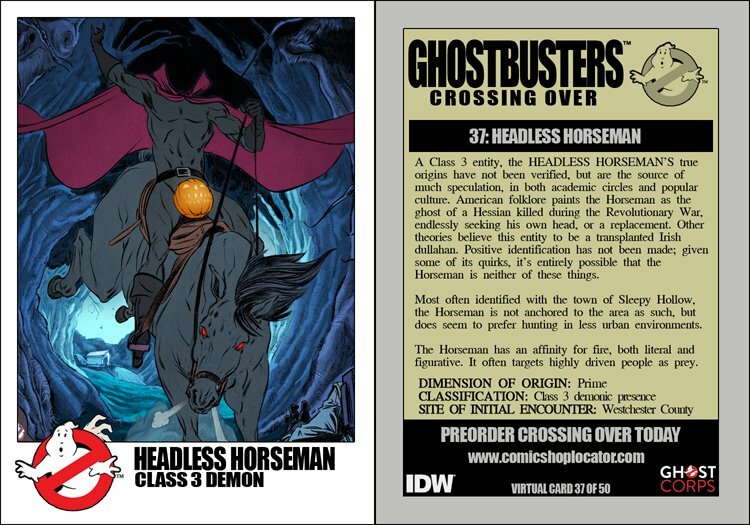 A Class 3 entity, the HEADLESS HORSEMAN'S true origins have not been verified, but are the source of much speculation, in both academic circles and popular culture. American folklore paints the Horseman as the ghost of a Hessian killed during the Revolutionary War, endlessly seeking his own head, or a replacement. Other theories believe this entity to be a transplated Irish dullahan. Positive identification has not been made; given some of its quirks, it's entirely possible that the Hourseman is neighter of these things. Most often identified with the town of Sleepy Hollow, the Horseman is not anchored to the area as such, but does seem to prefer hunting in less urban environments. The Horseman has an affinity for fire, both literal and figurative. It often targets highly driven people as prey.